Golden milk | how do you like them green apples? A cousin to ginger, turmeric or Cucurma longa has been used as a medicine in Asia for more than 2500 years. It’s only recently in western herbal medicine that we’ve begun to appreciate the full spectrum of benefits this humble herb can offer. 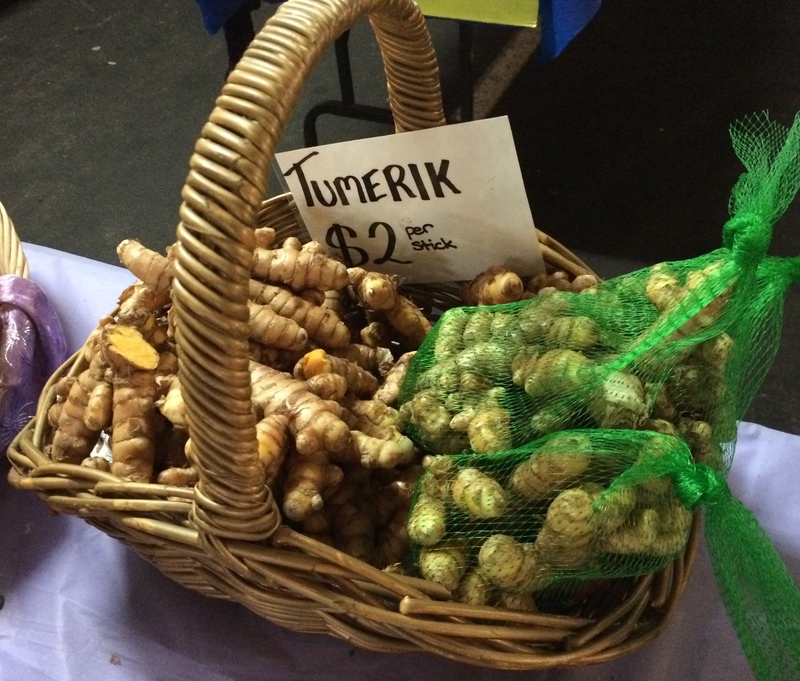 One thing I love about Turmeric is that while it is powerful- it is gentle. Antioxidant- Protecting the body from oxidative stress and free radical damage due to chemical exposure is turmeric’s speciality. Not only do the active compounds in turmeric act as antioxidants themselves, it also helps to accentuate the body’s own antioxidant processes. It’s a must for the modern world. Anti-inflammatory- Turmeric contains dozens of compounds which exert powerful anti-inflammatory effects. The most studied and backed by research is the chemical called curcumin. The anti-inflammatory compounds in turmeric block enzymes which promotes swelling and pain, making this herb excellent for the treatment of arthritis, chronic pain and injury. Many studies have found curcumin to be as effective in the treatment of arthritis as many anti-inflammatory drugs. Brain Health- Curcumin crosses the blood-brain barrier and helps to increase certain enzymes in the brain responsible for repair and nerve connections. It’s role as an antioxidant and in inflammation is significant in the processes associated with Alzheimer’s disease. Much research is underway to establish to what extent turmeric can delay or reverse brain diseases such as Alzheimer’s, age related cognitive decline and depression. Heart disease- A smite on the modern world- heart disease is our biggest killer. While the causes of heart disease can be both genetic and lifestyle induced- our 2 major foes, inflammation and oxidation play a major role. Turmeric can be a valuable addition to the treatments of many kinds of heart disease and are often fine to take alongside conventional drugs (please see your doctor/pharmacist or naturopath if you have any questions about drug interactions). Turmeric also appears to play a role in endothelial health, the inside wall of your blood vessels which are important in regulating blood pressure, blood clotting and many other circulatory processes. As an anti-inflammatory it may be of benefit in raised cholesterol, which often has an association with systemic inflammation. 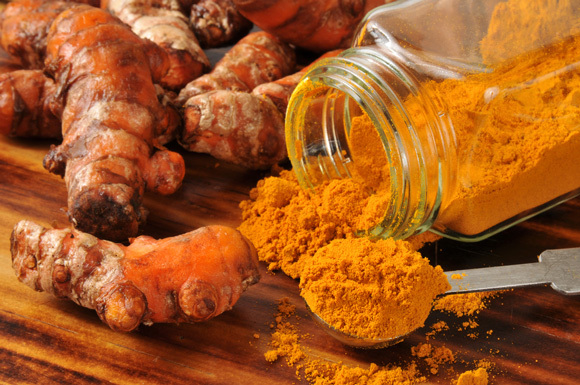 Cancer- While much research is still needed- early studies have shown that curcumin can reduce angiogenesis (growth of new blood vessels in tumours), metastisis (spread of cancer cells), as well as contributing to cancer cell death and suppressed tumour growth. There is also some evidence of it preventing some cancers, especially cancers of the digestive system (colon cancer). Turmeric also has significant benefits on the digestive system (local anti-inflammatory action useful in IBS, inflammatory bowel diseases and autoimmunity), the liver, and in helping us to cleanse the blood and improve skin conditions. There really is no one who wouldn’t benefit from it! 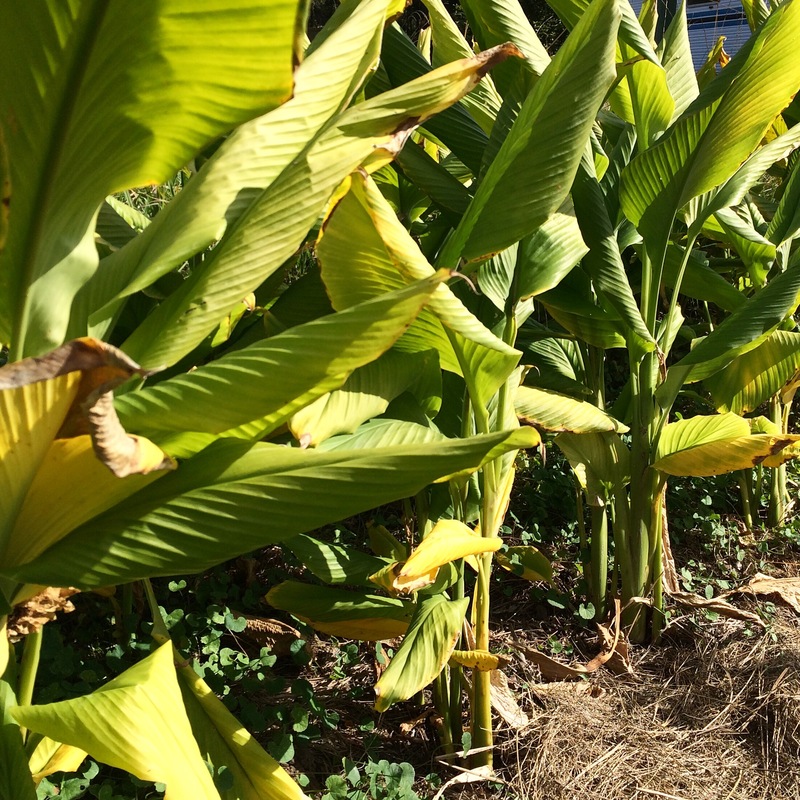 Golden green and lush- turmeric is ready for harvest. Can’t live forever, but I’m gonna die trying. Turmeric is up there on the list of ways to try to keep on ticking. So let’s look at some ways to get it in to ya. We’ve talked a lot about the active constituent curcumin. Now sadly, it’s not such an easy thing for us to absorb. Not only that, the content of curcumin in turmeric is only about 3-5%. Therefore if you really want to get the most from turmeric as a medicine (pain relief or any of the reasons mentioned above)- an extract can be a good way to go. There are many excellent ones on the market these days, providing high levels of curcumin per dose, usually in capsule/tablet or liquid extract. Without directing you to a particular brand, in Australia, you can be confident with most naturopath prescribed-only companies and a few retail ranges. Products should explain their extraction method and talk about their bioavailability as a key feature. “Bioavailability” being the degree to which the active constituents become available in the blood stream. I’ve used and prescribed quite a few different ones all with great success. Black pepper- Piperine from common black pepper has been found to help block the break down of curcumin in the liver, allowing more of it to enter the bloodstream. In human trials adding piperine to turmeric increased it’s bioavailability by 2000%! Adding a generous dose of black pepper to your curries, or simply popping a few pepper corns whole with your turmeric and veggie juice can help increase it’s effect as a medicine. Fat- Turmeric has low solubility in water. Therefore mixing turmeric with coconut, sesame, flaxseed or olive oil can also improve it’s bioavailability. Heat- Traditionally, turmeric has been used in cooking, and in medicinal beverages/teas which has also been found to improve it’s absorption. Curcumin is sensitive to heat however, so while a curry might be have you frying your powder in oil and onions and simmering for ages, this isn’t the best way to get the medicinal benefit. By all means enjoy it that way- but look to heat your turmeric gently and not for long if you want it in all it’s medicinal glory. Bioflavonoids- These are substances found in plants. A major bioflavonoids called Quercetin can help prevent the metabolism of curcumin in the body- enhancing it’s effectiveness. A favourite way to take turmeric is to combine a tsp dried powder in 1 cup of boiling water with the juice of ½ a lemon and some honey to taste. Lemons are naturally high in Quercetin, and hot lemon in water is famous as a liver tonic. Add turmeric – and what a way to start the day! Mix all of the ingredients in a sauce pan until the mixture becomes a smooth rich paste. You may need to add a little bit more water if the mixture becomes too thick. Stir over a low-medium heat for 5 minutes. Trasfer to a glass jar and store in the fridge. This paste will last for 2-3 weeks. In both cases- combine all the ingredients in a saucepan and bring to a simmer for 2-3 minutes (leave the honey out till the very end). Remove from heat and put the lid back on and let sit an extra 5 mins. Stir and serve up the liquid gold, adding honey now if you want a bit of sweetness- you’ll love it! Depending on your therapeutic aim- drink 1-3 cups per day. Ps- If you have the fresh grated root, you may wish to blend your ingredients in a high speed blender before heating- to give it an extra smooth consistency.